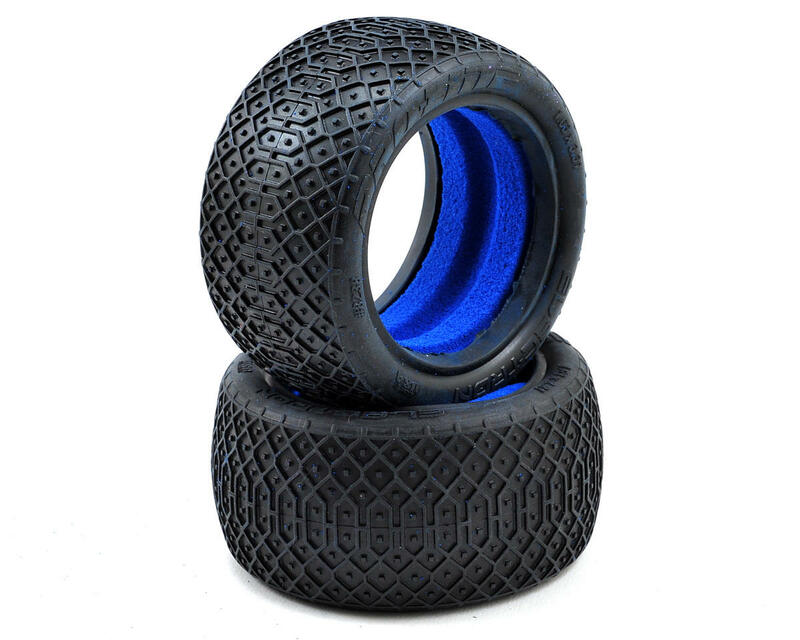 This is a pair of two Pro-Line Electron 2.2" 1/10 Buggy Rear Tires. 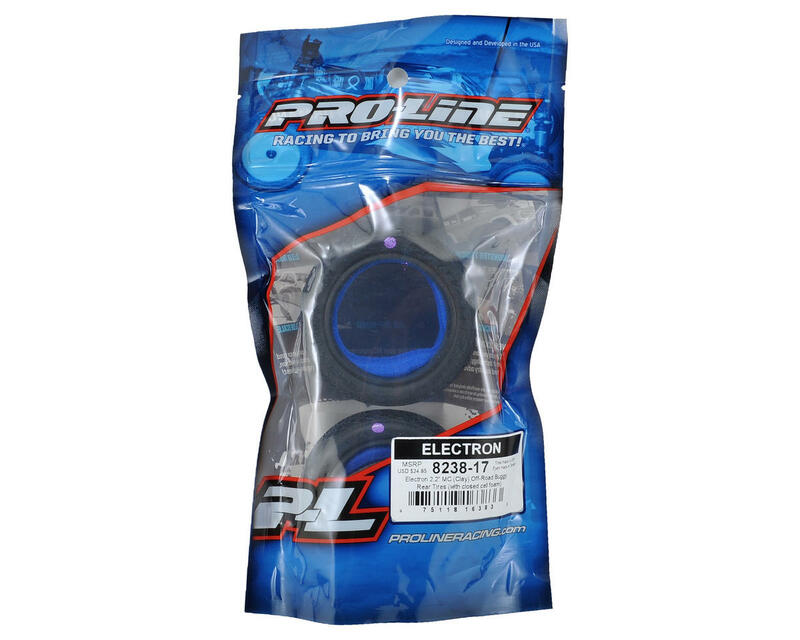 The Electron shares a variety of design elements with Pro-Line’s ION tire. With the dirt grabbing center tread and futuristic styling, the Electron delivers connected tire tread technology that improves traction and wear on even the most abrasive of indoor track conditions. The square center pins laid out between the connected tread provide consistent forward and side bite even when the track gets dusty. Drivers are amazed by the precision steering and super-fast corner speed that the Electrons provide. NOTE: 2.2” Style Tires only work with 2.2” Style Wheels.